During attempts to build a cat’s whisker detector from SiC, I noticed a faint glow. Probing further, I found that one of the largest crystals emitted quite a lot of light over an amazingly large area. 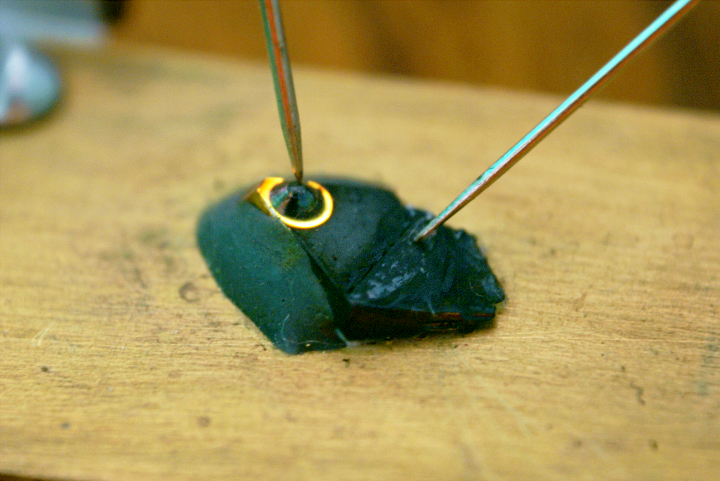 Following that, I then isolated that particular crystal and mounted it on a brass plate with epoxy. 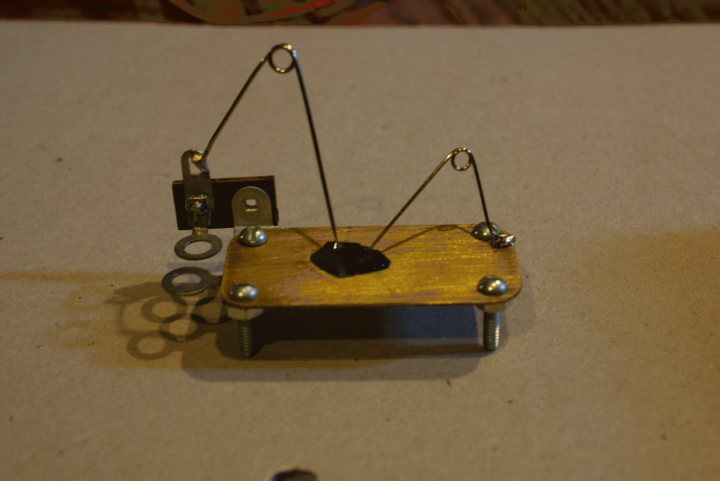 Some brass safety pins were soldered in place to make schottky contacts. Below are two pictures of the device emitting light. One picture forward biased and one reverse. It emits light both ways! 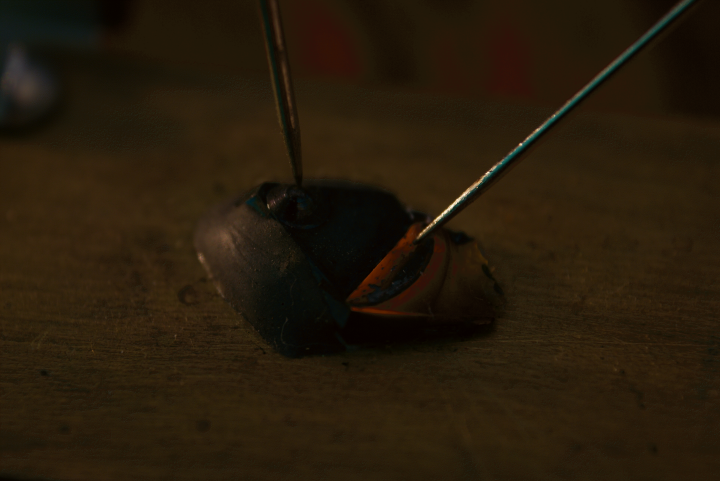 It appears that in doing this, I have made a pair of schottky diodes in anti-series. Each metal-semiconductor contact forms a PN junction, which could point in either direction depending on whether the work function of my pins is greater or smaller than that of the SiC crystal. When a sufficient bias is applied, one diode will enter reverse breakdown, and the other will be forward biased and thus may emit light.